Sorry, the item is sold out and not available anymore. As an alternative we recommend the Minilux 2-tier wall-mounted lamp (25520). The BRILLIANT series lamps from Mini Mundus are distinguished by their extremely high precision and an authentic design. 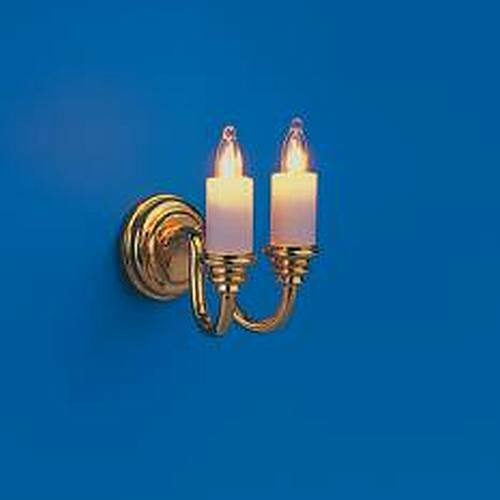 All of the lamps are made from brass and plated with 24 carat gold. The BRILLIANT series light bulbs (candles) are very bright, have an extremely long service life of over 5,000 hours and are replaceable.